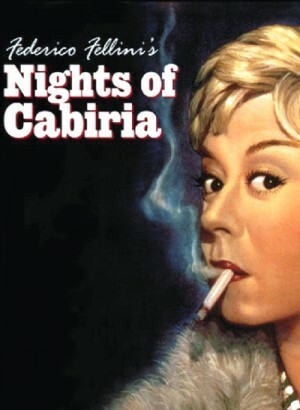 Cabiria is an aging prostitute in Rome, and she uses her toughness to ward off police raids, talk down to some of the other more aggressive prostitutes, and make sure that her clients don't jerk her around. But at the same time, Cabiria is weak, and she's not just looking for some quick cash. She wants to be loved, and her job leads her to many potential clients or lovers. In fact, the film finds her in a month-long relationship as the film begins, only to lose it all suddenly and have to go back to her profession. The rest of the film recounts her adventures in Rome, looking for true love and a new life. 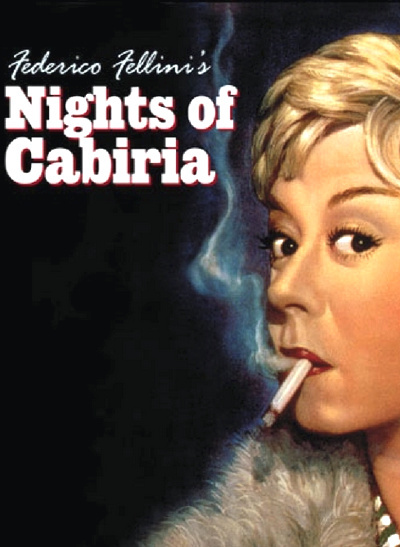 Nights of Cabiria is a beautiful and heartbreaking film. It works mostly on the strength of Giulietta Masina, who is a combination of Lucille Ball, Charlie Chaplin, and Al Pacino.